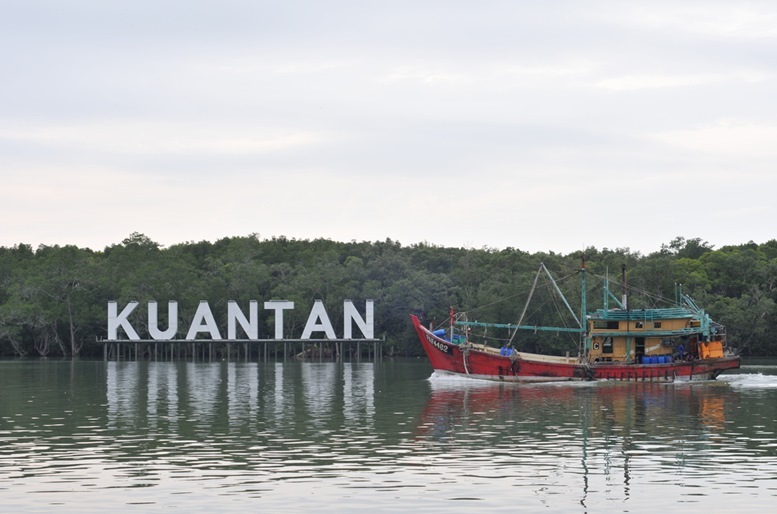 Kuantan– Due to its strategic location, this state capital of Pahang is considered as a commercial, social, economic and tourism hub of the East Coast of Peninsular Malaysia. While trade and commerce play a significant role in Kuantan’s economy, tourism is identified as the city’s primary economic activity. Kuantan is well-known for its magnificent waterfalls and beaches. 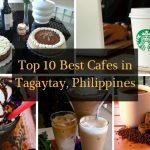 Though the city is developing fast in becoming a modern commercial center, it doesn’t stop locals and tourists to flock to the city due to the sights and things-to-do the city offers. 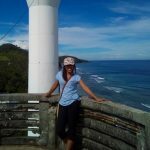 I gathered all must do’s and must-visit places in Kuantan, and here’s the top 10 from my list. Balok Beach is a well-known place for windsurfing enthusiasts. In fact, it is included in the list of 10 best beaches chosen by the international windsurfing and kite-surfing athletes. Balok Beach is located 15 kilometers north of Kuantan, and many resorts in the area offer windsurfing activities. 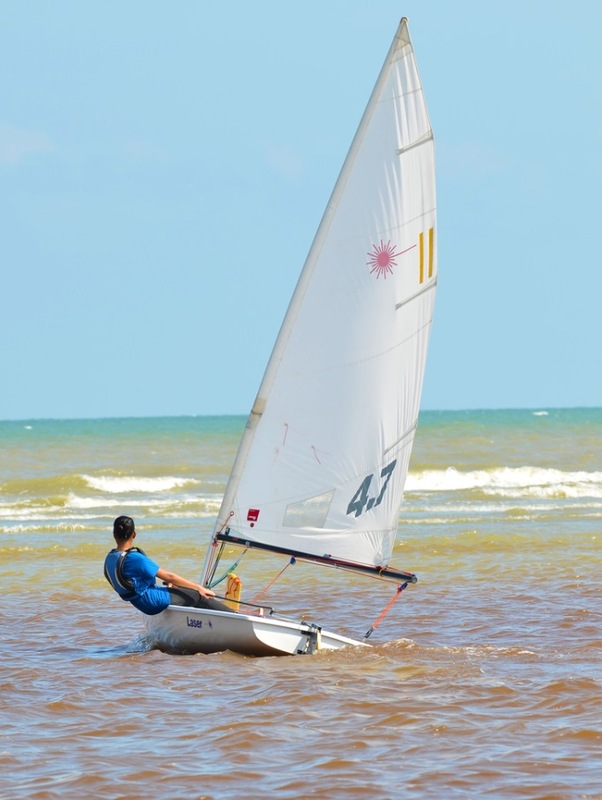 Every year, sportsmen and women all over the world are traveling to this beautiful beach to participate in the annual Kuantan Challenge– an international windsurfing event. Besides windsurfing, Balok Beach is also known for kiteboarding activities. 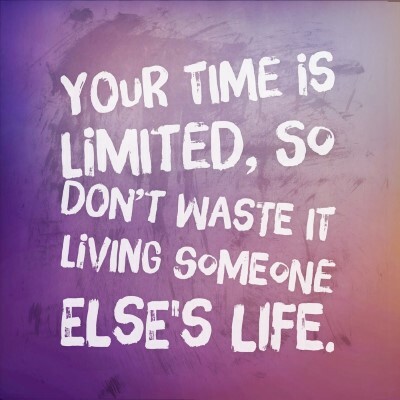 It is included in the list of best kiteboarding spots in Asia. The very sandy beach makes it safe and easy for kiteboarders to do their tricks. The Kuantan Challenge that I mentioned first on my list is also combined with kiteboarding event. The Malaysian Kiteboard Group organized a kiteboard open race and freestyle classes where hundreds of kiteboarding enthusiasts from different countries participate. 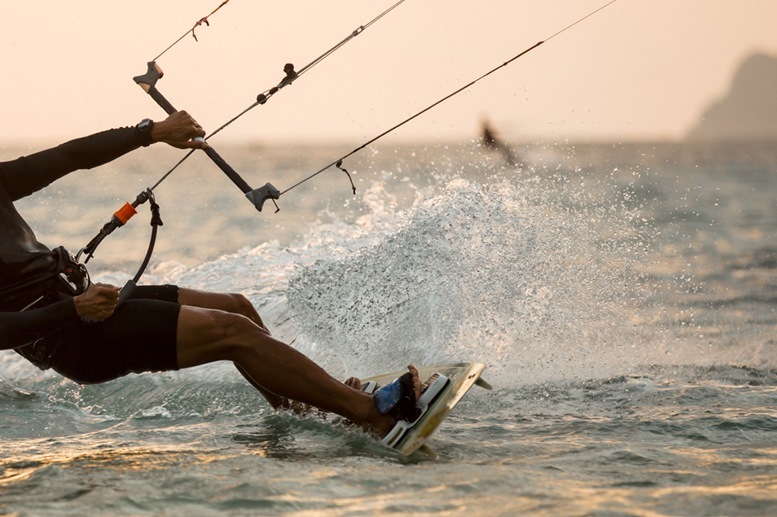 The best time to visit Balok Beach for kiteboarding is from December to March. Since the city is located near the mouth of Kuantan River, one of the most enjoyed activities by tourists here is the river cruise. Day and night cruise services are available for adults and children. The 2 hours journey will take you to the 500 years old mangrove forest along the river where you can spot different species of fishes, birds, and plants. It also makes a stop in a local fishing village, where many vessels of different colors are anchored along the beach. The tour will also take you to other sight-seeing locations along the river. For anglers who are looking for a fishing spot in Kuantan, Pulau Ular is the perfect place to go. It is a small island a few minutes away from Kuantan that is suitable not only for fishing activities but also for snorkeling. You can reach the island by hiring a boat. Among the world known products of Malaysia are batik. 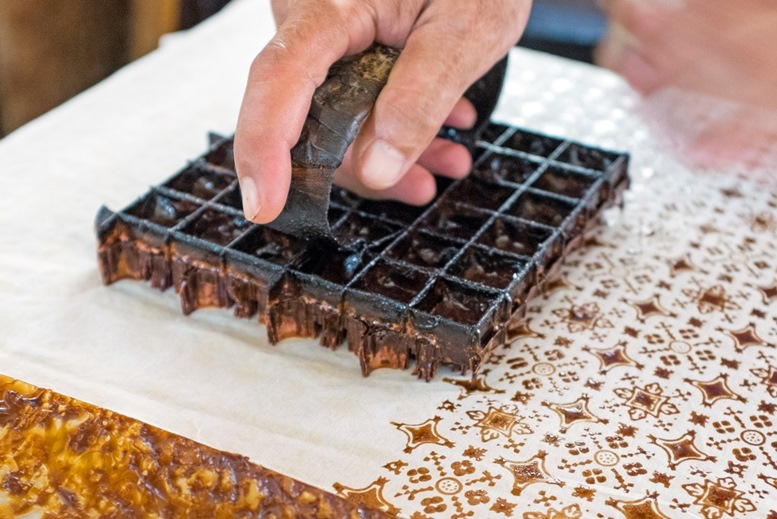 In Kuantan, among the most famous batik producers is the Natural Batik Village. It houses the largest batik showroom of the country’s east coast. By visiting the factory, you will have a great selection of batik products such as beach wears, paintings, and souvenirs. 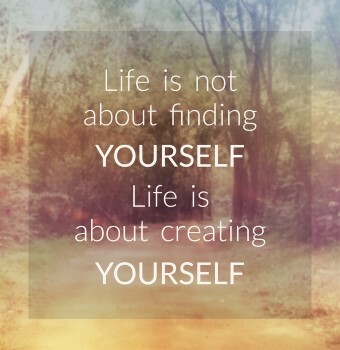 You will also have the opportunity to custom made your shirt using your own art. Your travel in Kuantan is not complete without visiting this famous Natural Batik Village. 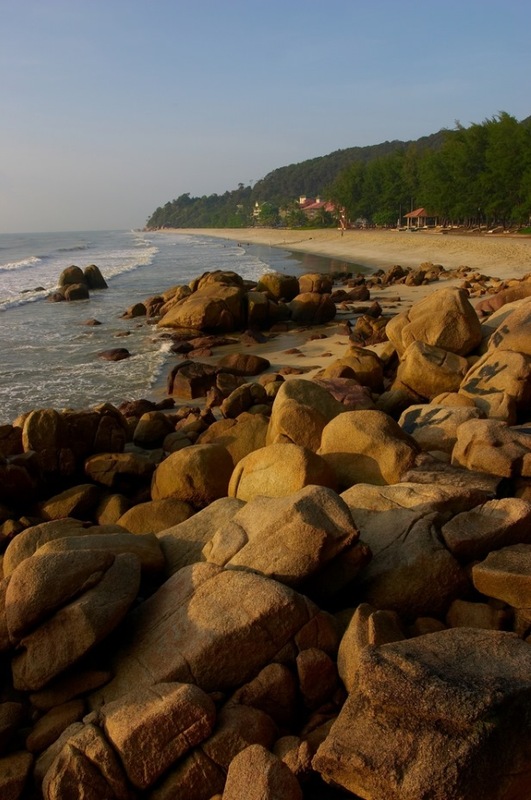 A few minutes away from the city, another must-visit location in Kuantan is the Teluk Cempedak Beach. Both locals and tourists who want to relieve stress through exciting rock climbing activities visit the area during weekends. 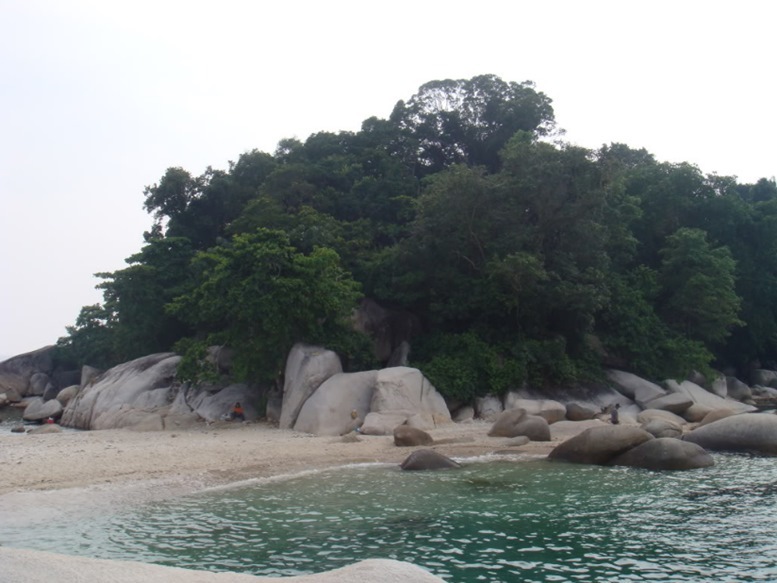 The granite boulders rocks which are of different sizes are facing the beach, and when you reach the top, you will get to see the magnificent view below. 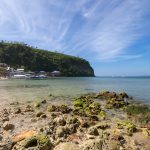 Besides rock climbing, this popular beach also offers other types of activities to visitors such as surfing, sunbathing and swimming. ATV ride is also one of the activities that tourists enjoy in Kuantan. A few minutes away from Kuantan City Center, Sungai Lembing is one of the must-visit places for those who love nature. You can rent an ATV at the shops in town to tour around the different sights of the town. You can drive the ATV to the river banks and beaches which are also great spots for picnics. It would be best to tour around the town in ATV during weekdays because tourists usually flock the town during weekends. 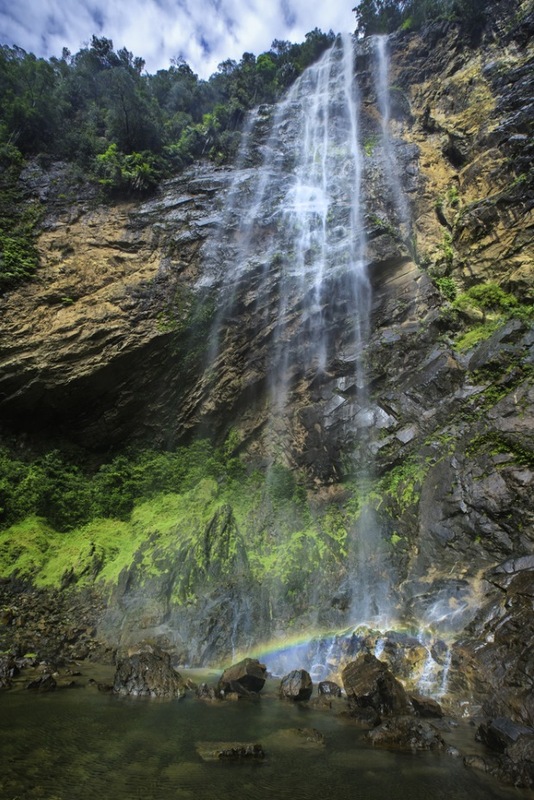 Another must-visit location in the small town of Sungai Lembing is the Rainbow Waterfalls. Many locals and tourists spend the time to visit the town just to see the unique feature of this waterfall. During 9-10AM in the morning, the sunshine hitting the falling water creates a beautiful rainbow at the base of the falls. To get your way to the waterfalls, you need to take an hour of trekking through the jungle where a tour will guide you. Most of the guided tours start as early as 6 AM, so other travelers prefer to stay in town a night before the scheduled trekking. 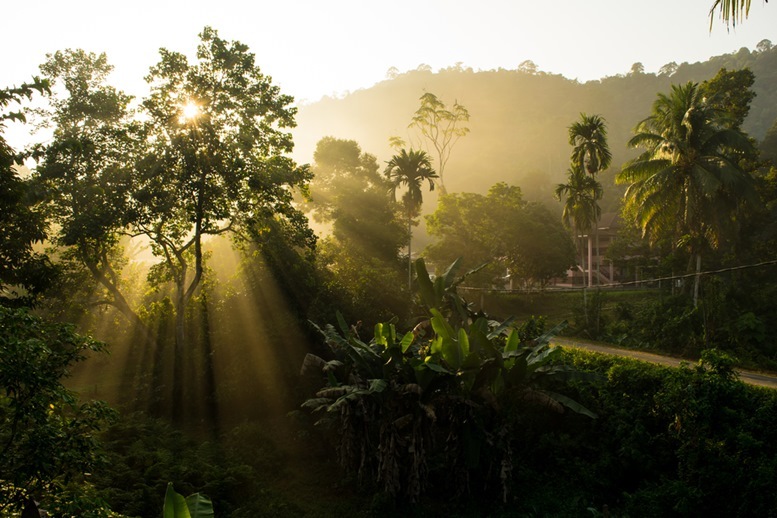 While on your way you will be able to spot the beautiful sunrise, a fascinating sight to strat the tour. 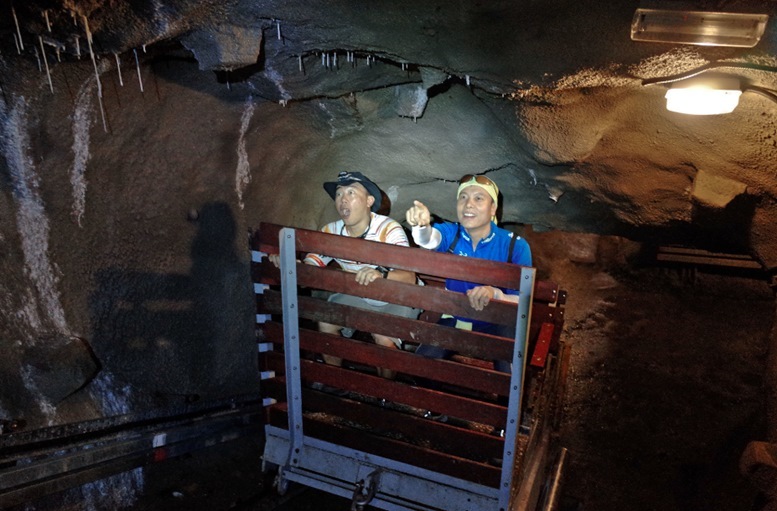 Also located in Sungai Lembing, take your time to visit the Sungai Lembing Museum and learn the history of the town’s subterranean tin mining. It is considered as one of the longest, deepest and largest tin mines in the world. In entering this museum of the actual mine, you will spot a huge collection of mining equipment such as railway tracks, safety helmets, and drilling machine. Both adults and children can enjoy and learn a lot in touring this museum. 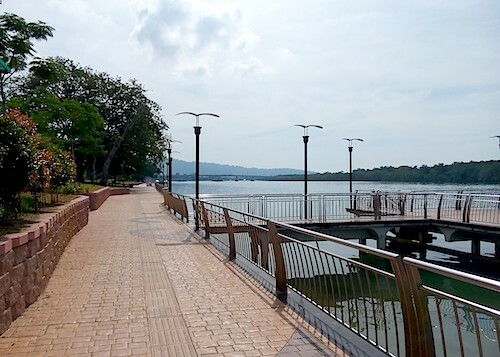 Next to the Kuantan River, Taman Esplanade is a kilometer long walkway that is pleasant to walk especially at night when decorative lamp posts are lit up. 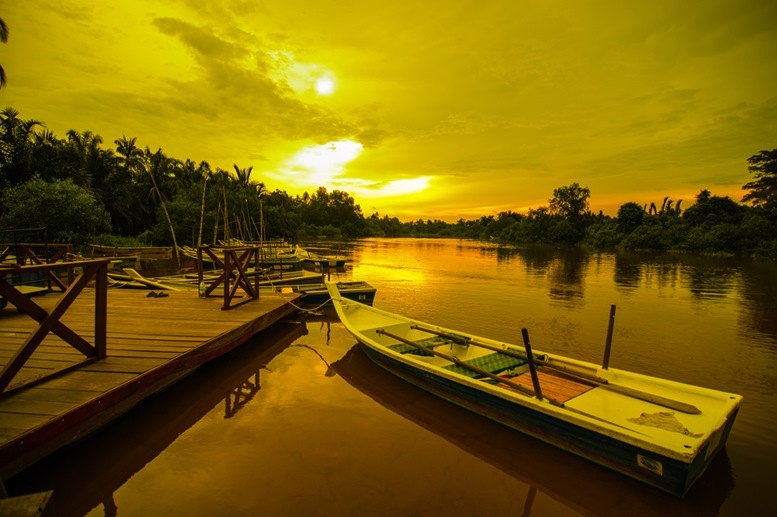 It is one of the best places in Kuantan to relax and enjoy the beauty of the river. During weekends, many locals visit the area to shop on the weekend night market as well as to fish on the river. 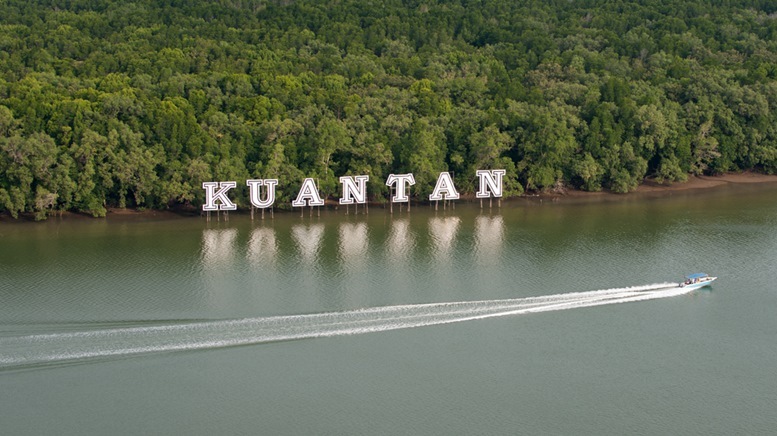 Besides our top 10 list of things to do in Kuantan, the city has more to offer to its visitors. 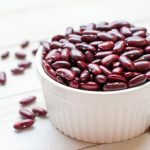 They are also known for their delicious local food that can be bought anywhere around the city.